If you have been to my blog before, you probably own or at least know what a TechNet subscription is. And you probably have heard about that Microsoft recently announced that they are retiring this offering. So far the responses within broader IT community towards this are overwhelming. Personally, I believe there is a very healthy IT community for various Microsoft technologies. People (including those MVP’s) help each other out, share their knowledge and experiences. That’s why I felt that I have learned a lot from the community and decided to start this blog 3 years ago to contribute something back to this wonderful community. Microsoft, on the other hand, has provided wonderful breeding beds for us IT Pros. We, as IT Pros, for an reasonable annual subscription fee, are able to access Microsoft’s software products without any limitations and then are able to to apply what we’ve learnt into our work, effectively making Microsoft more successful. Although the real reason for killing TechNet subscription is unknown, from talking to people around me, some people think it’s because of software piracy, others think it’s Microsoft trying to push their cloud offering. Regardless if any of these two guesses are correct, I think Microsoft is plain stupid and arrogant! A friend of mine told me he has personally seen companies using TechNet license keys in production environment. I agree, this is not right, Microsoft has the rights to protect their intellectual properties. But please, don’t punish all of us because there is one (or few) rotten apples in the bucket! People misuse not only software, but also many other things! For example, especially in US of A, there have been many incidents that someone misused weapons in wrong places at wrong time and as the result, many people lost their lives. This is a far more serious issue than software piracy. You don’t see US government ban people from buying and using guns do you! 12 years ago, I lived and worked in USA for a year (internship as part of my university degree). When I was living there, I was told many many times, “Guns don’t kill people, people kill people”. In my opinion, same theory applies here. Killing TechNet is not going to stop those people from using pirated software. They can either get a MSDN subscription and continue on, or download and crack the software from news groups or bit torrent sites. Only because the TechNet subscriptions are being misused by someone doesn’t mean it should be canned! I agree, cloud computing has a great potential, this is why I have spent a lot of time and got the MCSE Private Cloud certification. But I still think it serves different purposes than having a private lab on premises. No matter what cloud is it, they are all hosted on physical hardware (aka fabric). At moment, I have 4 physical computers in my lab and there are around 40 VMs running on these physical computers. 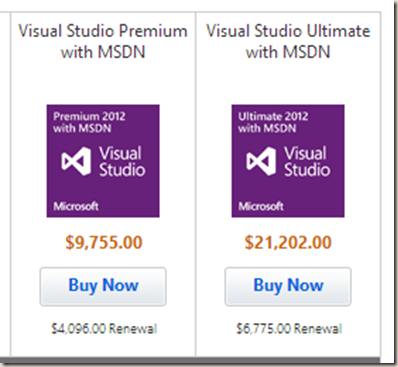 I don’t even want to work out the cost of having them hosted in Azure because I just can’t afford the cost! In addition, there are things that I just can’t test / evaluate in a public cloud environment. One of my colleagues gave me a copy of Cisco Nexus 1000V virtual switch to try in my lab. Maybe one of those decision- makers in Microsoft can advise me how am I supposed to install this using your Azure subscription? In China, where I come from, there’s an old saying: if you hold the sand to tight, you will lose them between your fingers. We all know Cloud computing has a lot of potentials, but please, don’t push it too hard, you will push your customers away! When I looked at the alternatives suggested by Microsoft, I thought they are taking a piss out of us IT Pros. Please, I’m not a 2 year old, don’t treat me like an idiot! like I said earlier, with around 40 VMs and 4 physicals in my lab, it is impossible for me to rebuild them every 30-180 days. Life is too short to keep rebuilding your labs every 30-180 days! I might as well just read the “PC for dummies” guide and hope I can progress my career in IT? Speaking with real life experience, My employer owns one of the biggest System Center environments within the region (according to Microsoft), we have invested heavily in OpsMgr. We approached Microsoft and asked them where can we send people to learn Management Pack authoring in Australia. The answer is there is nowhere you can go. So Microsoft or its partner don’t even offer a paid instructor-led training down here, and you are hoping people can learn from your level 100-200 labs online? For those who read my blogs regularly, you know I write management packs and publish them here, free of charge. Without my TechNet subscription, I couldn’t even start learning MP authoring by myself in the first place! If doing online simulations is good enough to perform your job, those two Korean pilots from Asiana probably wouldn’t crash the plane in San Francisco?! Hey, If I’m a millionaire, I wouldn’t even be writing this article. To renew my TechNet subscription, I pay around $400 AUD every year and I always renew when there’s a discount promotion code. But if this whole thing is because of Software Piracy, what difference does it make if you make everyone to pay 10 times more than what they used to? People will probably buy a subscription and sell the keys on eBay to get the money back! So I suppose “All theories no practice” is a good thing then? Come on, Microsoft, you make mistakes every now and then (i.e. Windows Vista, XBox One, Start button in Windows 8). It seems you’ve managed to correct your mistakes eventually. I really hope you soon realise canning TechNet subscription is a stupid mistake before it’s too late! I’m not a business man, but I know that if you have a large customer base, and your products are used by more people, the profit will come. That’s why Toyota makes more money than Ferrari! very simple theory! Nice rant! The alternatives suggested by Microsoft are quite pathetic to say the least. I think the changes would push people TOWARDS software piracy or at least misuse of their existing software licenses! Indeed! We both invested our whole career in Microsoft technologies. It’s our best interest to see Microsoft succeed. If Microsoft is pushing their customers away, which I see it’s happening right now with my own eyes, I don’t see a future for this blog, or even my career with Microsoft technologies! OK – I agree with what you say. But saying it here is next to usefless. No one who matters at MS is likely to read this. If you realliy want to make a difference, then send this to SteveB@Microsoft.com. If you really care, write to Ballmer. If you don’t that means nothing will happen. So please can everyone who reads this PLEASE EMAIL STEVE BALLMER! Tao, you make the world a better place. Thanks for everything you do here. I think there’s only 1 good reason NOT to sign the petition: having signed already 🙂 You’re right, MS is off their rockers with the TechNet retirement. “You don’t see US government ban people from buying and using guns do you!” Have you seen the news lately? That’s exactly what is happening. Totally agree with the rest of your post, though. Oops…I just saw that you are in Australia so I understand better your comment. Here in the USA, there is a big push by the Federal and State governments to further restrict the purchase and ownership of weapons. I should have add a disclaimer in the original post… Anyways, this article based on my own personal opinion 100%. I have removed few names I have mentioned in the original post. I’ve also removed the “pressure cooker” section from the original post because it seems it upsets some people. The point I was trying to make is, when someone commit a crime, this person should be punished, not the tool. I spent much of my professional career evangelizing, designing, and building solutions using Microsoft technology. Microsoft delivered some pretty useful tech over the years and I was all too happy to invest my cognitive bandwidth and even cash to adopt and apply. In 2011 when I became completely and utterly fed up with their dysfunctional review process I resigned. When I became aware of the massive increase in MSDN pricing, I made the decision to transition away from Microsoft tech and am now working with open source and Unix. I still spend some bandwidth on Microsoft tech, but I can tell my interest in the Microsoft platform is diminishing. I now spend part of my time recruiting and I’m noticing fewer young college grads emerging with a solid understanding of Microsoft tech. I’m also noticing people who did learn Microsoft tech at university lack the passion for it. I mentioned this to a team at Microsoft recently and the immediate response was “because access to Unix stuff is cheap”. While I somewhat agree, I believe there’s more to the story. My suspicion is that Microsoft will become less and less relevant in the industry as engineers increasingly explore alternatives to feed their curiosity. You have summed up my thoughts on this completely Bill. I’m heading back into un*x land after 15 years consulting on deployments and automation with SMS and then System Centre. My Technet subscription has been a gateway into the software and it is now closed to me. 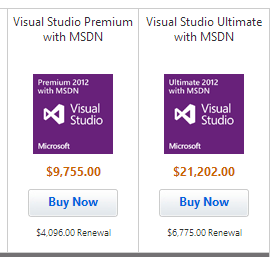 MSDN is outrageously unaffordable in Australia. This is the point in time where Microsoft has ended and I also have ceased my advocacy in favour of open alternatives wherever possible. Microsoft had a good run but the decline will be slow and ugly. Hosted services are not trustworthy and have been proven even less so this year. We should start a company to assist our customers with moving to more trustworthy open source replacements for these products.